Filming professional aerial footage is complicated, costly and often give to circumstances beyond our control. Heat, wind, haze, dust are few of them. Our answer to these challenges is our Experience. Highlight Films has years of experience in producing aerial filming in Israel: video, film and still photography. We have executed aerial shoots of many kinds in Israel – for films, news reports, documentaries and for corporate and sales videos. We completed many other aerial shoots, focusing on the landscape photography in Israel. Moreover, we film on a regular basis for commercial and public organizations in Israel, and we produce aerial shoots in Israel for our international customers. Among them American, Canadian, French, German, British and Japanese production companies, corporations and organizations. Aerial filming in Israel for many years results in our aerial production team able to take any professional challenge. 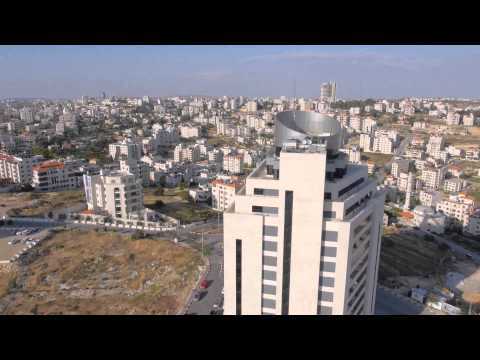 We did so with the aerial filming of Jerusalem 3D I-MAX in 2011. For the first time a professional IMAX SPACECAM camera set was shipped to Israel, resulting in superb IMAX footage. The corporate video market is growing rapidly. Consequently, the developments in drone technology took film making to the sky, in low costs and with great results. The drones are the perfect solution for corporate shoots. Filming with them we can take shots no helicopter or airplane can. For example, a vertical lift from the ground; descending from the sky to the ground; sweeping dolly movements, seen as if the camera is rolling on virtual tracks… The unmanned aerial vehicles we use carry with professional 4K / HD cameras and get excellent footage. Furthermore, we can always mount the customer’s camera on our drone, in order to get perfect footage match. In the last years we filmed with hexacopters, quadcopters and octocopters. Our aerial filming producers will match the best drone for the job. We can offer a wide range of DJI drones, including Inspire-2 with X5 and X7 lenses, as well as custom-made drones for heavier payloads. We would be glad to advise you about the production of aerial filming for a corporate video or a presentation.